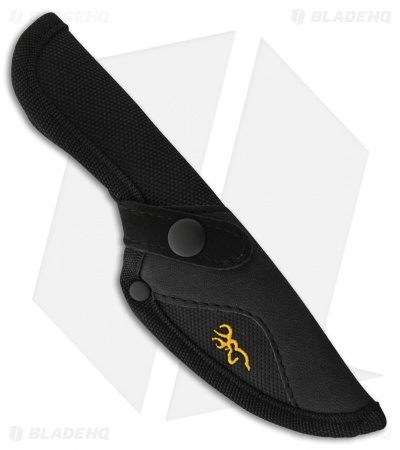 The Browning ERT is a is a fixed blade knife which includes a carbide sharpener, Edge Retention Technology, that fits directly into the handle and won't fall out due to the magnetic retention design. 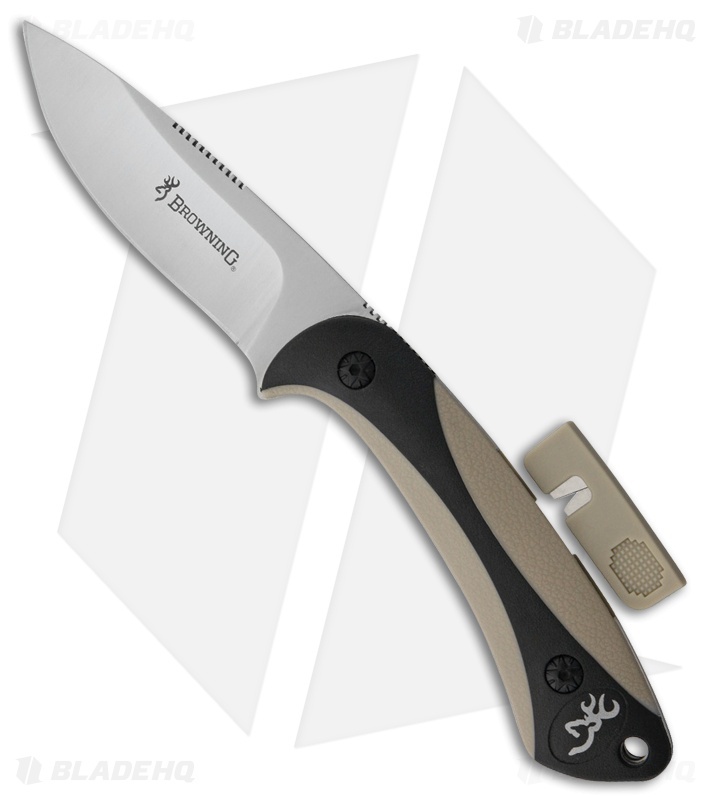 7Cr stainless steel, drop point blade with a satin finish. Black polymer and gray rubber handle. Lanyard hole and black nylon belt sheath included.